Six astronauts took shelter in escape capsules when orbiting junk threatened the international space station. 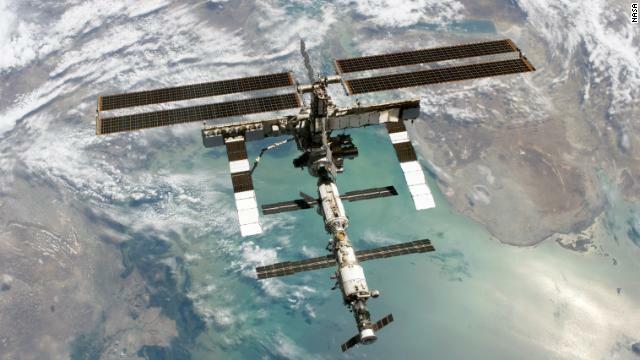 A piece of a debris from a Russian Cosmos satellite passed close enough to the international space station on Saturday that its crew was ordered into escape capsules as a precaution, NASA said. The six crew members were told to take shelter late Friday in their Soyuz capsules after it was determined there was a small possibility the debris could hit the station, the U.S. space agency said in a statement. NASA said it began tracking the debris early Friday morning but only decided to take the precautionary steps after an analysis showed a slight possibility of hitting the space station. That is a very, very cool picture. Light Years strives to tell the stories of science research, discovery, space and education. This is your go-to place on CNN.com for today’s stories, but also for a scientific perspective on the news and everyday wonders. Come indulge your curiosity in all things space and science related, brought to you by the entire CNN family.